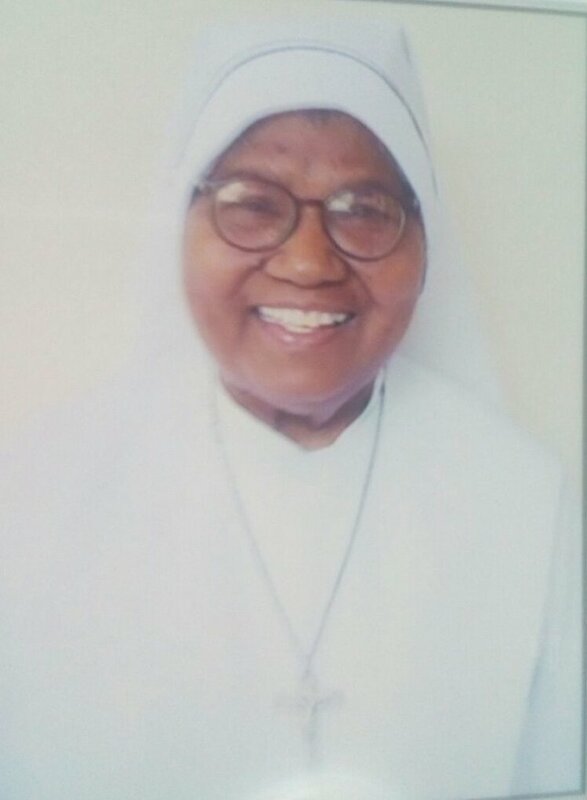 Only this morning did I come to know about the delicate health of Sr Modesta. Having finished supper, I just prayed specially for her in the Chapel and came to my room and received a message that she is no more. Mummy had visited her yesterday at the Convent, the Capitanio House, in Bandlaguda Jagir, Hyderabad - adjacent to our Provincial house. I first met her in 2007 when I was in the Provincial house as the secretary. Back then she was already elderly and in the retirement home. She hailed from Bihar or Jharkhand and she loved to speak in Hindi. Being a rare breed of Salesians in the province who speak Hindi, we soon became friends. After three years when I moved out of Hyderabad, everytime I went to Hyderabad for a meeting or retreat, I made it a point to meet her. The last time I saw her was before I left for the UK. She was already bed ridden and losing her memory. But she recognised me instantly and we spoke for some time. She truly is one of the few Nuns, I've known and admired much over the years. I'm sure she was a native of some rural area and no matter how many years she worked in posh schools as the Hindi teacher, that village in her never left her! Perhaps that was her greatest gift. She was at home with everyone and made everyone feel at home with her - a typical rural characteristic. It was during my stay in the Provincial house that she celebrated her Jubilee of profession. There was a grand celebration in the convent. A day or two later she came across to our Provincial house to meet Fr Noel, whom too liked her much. For some reason the whole community was in his office and when Maria, the receptionist called up to say that Sr Modesta was on her way to meet Fr Noel, we promptly broke up our meeting and surprised her with song, and a card and a few words of appreciation. She was quite surprised. And then she lovingly hugged us all. That's my most vivid memory of her - hugging each one with such affection. That was Sr Modesta - enjoying the simple pleasures of life, being with everyone, making everyone happy and reaching out to those sad or suffering. I remember well her daily visits to Fr M.D. Jacob in BIRDY. I think she was more faithful and prompt in her daily visits to him than most of us Salesians living on campus! She certainly will be one whom I'll miss the next time I reach Hyderabad and our Provincial house. God bless her simplicity and generous concern for others. She certainly had plenty of patience, and her joyful smile was her best gift to all!